Nothing compares to the feeling of freedom standing in the middle of a desert, or floating in a sunrising sky in a hot air balloon. My first trip to Morocco with Cartier was a pure dream from a-z and honestly, I kept wondering during the whole time, how did I get so lucky so see, feel and experience all of this. The warmth of the colors in Morocco is incomparable. The only place it could actually slightly remind me of is India, with it’s welcoming, hot, convivial culture, the kids running around in the streets, the red walls and the sandy roads… The smell of spices in the air and a feeling of divine uplift, almost as if you suddenly connected with yourself in a different way, and saw the world from a different angle. This trip of course was actually nothing like my trip to India. It was, first of all very short, orchestrated to perfection by the whole Cartier team, and definitely, utterly luxurious. You never get used to such things. And thank god. Because otherwise, I’d already be a spoiled little brat by know (which I truly deeply hope I am not, thanks to my closest friends for always reminding what a noob I am) and because each of such adventures wouldn’t feel so special anymore. The fact that this little Moroccan escapade was so short might have actually been a good thing, it felt like a dream. Just falling asleep and waking up in a hammock laying by a pool in an oasis lost in the middle of the desert. Needless to say, my only wish is to go back and spend more time there, explore the markets, the villages, indulge on Moroccan food and get a taste of people’s warmth and culture. There was an unbelievable sense of serenity and spirituality that I’ve noticed quite vividly in Morocco. I don’t know if it’s just me being in this head space, but somehow it was different, I breathed, thought and felt different. More open, more serene, and in peace within myself. I’ve been trying this thing lately, which is called “going with the flow”. And don’t make fun of me. I am such a “perfectionist” (control freak in other words) that letting go of all pressures is difficult at times, and with summer at it’s peak, I can’t express how much I need to disconnect from it all and resource myself with true, meaningful, experiences, conversations, emotions. I guess it’s an endless self quest that shouldn’t only be good as a summer experiment, but more a state of mind to live and grow with. I had such a feeling of peace while floating in the air, on a hot air balloon, at 5 in the morning. It’s as if time stopped and we were just observing the quite and calm of nature. It was one of the most magical experiences of my life. We get so easily stressed by so much and so quickly, we react so impulsively, we don’t take the time to think, fear and doubt guide so many of our steps and decisions… when actually when you’re up there, everything seems so simple, so tranquil. Perhaps it’s just us who make it all so complicated? Perhaps we don’t really take the time to really feel anymore. We’ve become numb to so much because we’ve been exposed to so much. We’ve developed a poker face in situations where emotions would naturally burst out, simply because we have to. Because the world we evolve in demands in. But it is so nice, to forget all that. Forget all these norms and commodities and just let go of it all. Feel what you go gotta feel, do what you gotta do, say what you gotta say. And not feel bad about it. If there’s one thing I definitely want to do, is spend more time getting lost in nature and connecting with not only myself but also, as cheesy as it may sound, listen to the world, feel the energy of the ground, of the air, of the nature evolving and growing on it’s own and let this empower you too. You can’t feel all that while sitting on an airplane or in the middle of NY with cabs all around and people running everywhere with their phones buzzing all the times… It’s too much noise. We all need from time to time to re-centre and learn to feel and be again. Of course I have to end this by saying a h-u-g-e thank you to Cartier for this unbelievable experience that felt so truly, deeply special and that I’ll never forget. For always making us dream and for making us believe that magic does sometimes exist, or at least it feels like it. Needless to say that their new high jewelry collection “Cactus De Cartier” is purely mesmerizing and was a perfect match to this earthy, gorgeous Moroccan landscape. I will let you enjoy the images and surprise, surprise… Guess who has a secret talent? Miss Fiona Zanetti shot these images and can we just take a second to note how gorgeous they are? Who knew girl had such a thing for angles. Enjoy x. Such dreamy pictures! Absolutely gorgeous! Incredible photos and you stunning in every single photo! Wow! This is what I call job well done! Such beautiful and stunning images! :) I agree - it's important to give yourself some time to disconnect with the world and really find inner peace. I'm glad you got to experience this in Morocco! Can't wait to see even more beautiful photos from your trip! Such a beautiful photos! You look great! Beautiful jewelry! Hahah :) first comment ! you are an amazing writer and so deep. The sealife-inspired jewelry looks great. It gives such a summer feeling to the look! You look absolutely stunning Kristina. Sure it was an incredible experience. You look goegeous on the photos Kristina! Beautiful, beautiful dress!! You look great! Amazing atmosphere of the photoshoot! And the pieces are absolutely beautiful and original. Such a stunning set of images, I would LOVE to visit in my wildest dreams! There's been something about this Summer too where I feel like I've needed to take a step back from my devices and constant need to be online out of fear I'll get left behind... so silly. Definitely need to work on feeling more present in the moment :-) But then again I think that we all need those moments of time that make us feel like we just experienced some form of magic! Ah, looks like Fiona isn't too bad a photographer herself huh? ;) Gorgeous as always! Morocco looks amazing; I've always wanted to go! And I love the way the gold pieces look with the minimal black dress! Hmm I think I still prefer James Charon's or Cibelle's photos... Guess Fiona has already much other talents, but not this one. One of the pictures with the close up on your face is nice though, but the others are just plain. "If there’s one thing I definitely want to do, is spend more time getting lost in nature and connecting with not only myself but also, as cheesy as it may sound, listen to the world"
I would love to see that coming from you. But how can you do that wearing your expansive chanel and Dior bags and clothes worth 10'000dollars ? How do you reconnect to the world and to nature by wearing everyday fur and leather ? How do you reconnect to yourself and to taking the time, when you are always in such a hurry, and under so much social pressure to publish every hour something on a social media ? Guess you will need to keep that a secret if you truly wanna reconnect. These photos are amazing. Great job Fiona and of course Kristina! I think it's so perfect to be able to work with your friends. I've never been to Marocco or to India but I would love to go there one day. Oh, and I love the theme and the design of the Cartier Collection. It's so extraordinary! What a lovely story and experiences! Sometimes I have such feelings while travelling, when you just let yourself go and be ready for any kind of adventures. The air balloon experience sounds so interesting too. You definitely do get to experience some amazing things! Love the photos here. It really does look like you’re living in a dream. Can somebody tell me HOW beautiful a human can be?! I love everything from Cartier, I think their new Cactus collection is also a bomb. You look lovely in this slip dress. Oh my Gosh.....these pictures are incredible. First of all, I want to say: "Fiona did really an awesome Job <3". I really, really love your spirit and your creativity, because it always takes me to stop in live and be grateful for my life. I'm so agree with you, that every person need to re-centre, because we have really just one live. So thank you so much for your inspiring words and keep on going Beauty. Your photos are always amazing! pure beauty! Love the pics babe, and you're right, nothing compares to the feeling of freedom when standing in the middle of the desert! Wow! Une vrai équipe d'expert, Cibelle et Fiona qui font des photos magnifiques et profondes pleines de sentiments, Kristina qui a toujours les mots pour décrire et nous emmener parmi ses pensées. Merci pour chacun de tes articles, qui sont vraiment sincères et très recherchés et surtout unique! En tout cas, ta manière de nous entrainer dans ton monde est juste top et très efficace. Un énorme pouce en l'air à Kayture qui me fait rêver d'articles en articles! Love your pictures! You look beautiful as always! Gorgeous sequence. Looking great as ever. This dress and jewelry is just stunning! Thank you for sharing. I am glad you had a great time in Morocco. Stunning photography, looks, and styling! Amazing photos! You looks so pretty. Déjà, un grand bravo à Fiona pour ces photos, décidément, elle sait tout faire cette petite !! Plein de talent !! Et encore une fois, tes mots pourraient être les miens (sauf la partie voyage de Luxe avec Cartier, ça ne m'arrivera jamais) Mais je retrouve dans cet article un peu les raisons de mon mail (si tu as eu le temps-et l'envie- de le lire). Prendre le temps de se recentrer un peu sur soi même. Le besoin de se ressourcer, de laisser les choses aller et ne pas vivre le nez coller à son écran de smartphone ou d'ordinateur. Comme tu l'as encore très justement dit, on a besoin parfois juste d'apprendre à "vivre" bien à nouveau. Je suis certaine que toi et moi on pourrait avoir de longues discussions nocturnes autour d'un feu et parler pendant des heures et des heures de choses qui nous tiennent sincèrement à cœur et nous paraissent profondes. Je suis persuadée qu'au fond, même si les apparences sont différentes, qu'on est sur la même longueur. 3) You can tell from all photos she is a 5’2” - 5’3”. You shouldn't be able to tell this. - Beautiful model, Very bad artistic direction and composition. - Last thing Cartier would want is their product to look cheap. - If Cartier was my product i would fire the product manager of this product line. Good job Fiona Zanettti and Kristina Bazan for a cool shot and collaboration. I am happy that you have experienced the baloon, I would like that one too for myself. Love the photos & the jewelry pieces! Amazingly shot, I think the darker hair really suits you! Morocco is definitely on the top of my travel list! It looks so magical!! 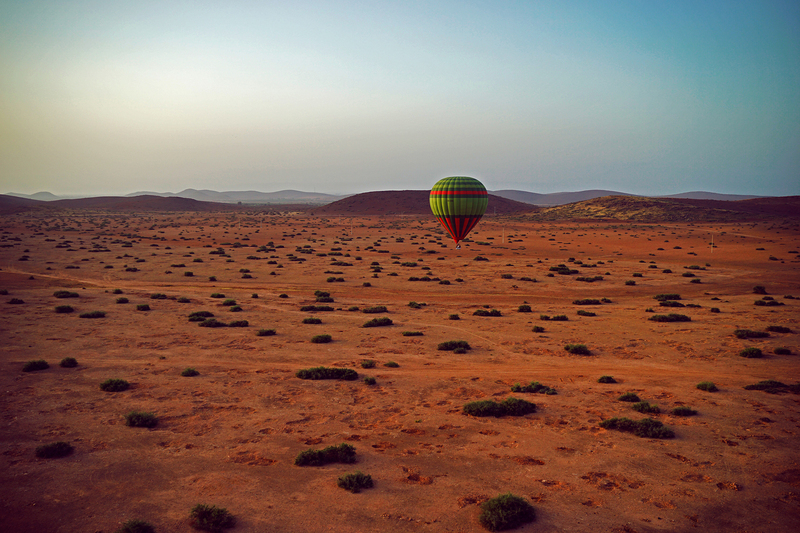 The hot balloon ride in the middle of the desert must have been so amazing! 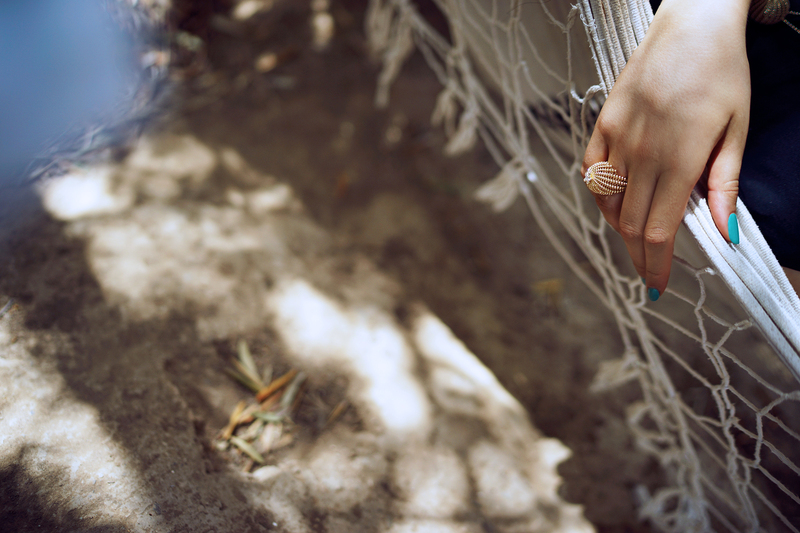 les photos sont super, j'aime beaucoup la bague "cactus". On peut se recentrer partout, même avec du bruit autour, ça s'apprend... et être soi-même sans faire semblant, heureusement ça aussi, c'est possible, ça doit être bien terne et triste que de se permettre ça seulement en vacances, ou déconnecté du quotidien... et de penser qu'on ne peut pas le reste du temps (bien sûr certains moments de vie ou voyages se prêtent particulièrement à ça, à se découvrir autrement). Le reste du temps, c'est toute notre vie, alors si on n'est pas nous-même dans notre vie... alors quand ? I love the idea of getting lost in nature and being alone in the quiet beautiful surroundings. Thanks for sharing about your trip, I will have to look into a trip like this in the future! Beautiful photos. What camera do you use? So obsessed by these photos. Mesmerizing and stunning! Des photos magnifiques, tu es splendide ! Your editorials are always perfection <3 Love you! So amazing outfit and so wonderfull location! Your posts are always so unconventional and original! I reallt love the way to wear that outfit. These shots are so gorgeous! Love this dress on you. Alluring, Seductive, Gorgeous and Prime. This is how I describe you. Yeaaaah you rock it ! Outstanding style, especially in such a hot environment ! The photos are amazing, Fiona Zanetti did a great job, Kristina you're truly charming!! The dress is beautiful !!! This woman is simply a true beauty. Looks, body, and can wear anything. Perfection. Superbe cette collection Cactus; Quelle chance nous avons en France, d'avoir des artisans au sens noble du terme, détenteurs d'un savoir faire et d'une tradition qui se perd en Occident ! Cela faisait longtemps que Cartier n'avait sorti d'aussi des bijoux aussi magnifiques et modernes (désolée, l'amulette ne me fait pas rêver) ! Dommage qu'ils soient inaccessibles, mais on ira les admirer Place Vendôme ! Sinon, les photos sont très réussies ! love your STYLE soo cool! Fiona rocks!! haha I like the pictures!! Thank you for sharing with us your emotions and adventures!! I always feel happy when I read your posts!! Beautiful photos! You are simply amazing! Wuaaah, such a great talent. Keep it up girls, u guys rocks! Looks like a relaxing trip you had :) Lovely. I love your jewelry, this picture are amazing!! Wow, love the pictures, the jewels and you are son nice!! Love to see bloggers in long dresses. That's why you and www.twinkleintrendz.com are my favorite ones. Also I'm looking forward to see you cover MK show tonight at NYFW. You Look Stunning and the Jewelry ♥ !! I completely relate to needing to be in nature. I have to get out of the city at least once during the weekend for my mind to feel recharged and relaxed. There's something so calming about nature and wide open spaces. So so gorgeous! the dress fits the smoothness of your perfect skin. Such a feminine beauty. Great article. Thank you for it. Woow!! You look Damn hot & pretty. The location is Awesome & pictures are impressive & cool. This looks like an amazing adventure. WOW, simply stunning, thanks for posting! Incredible photos and you stunning in every single photo! The best site for traditional Indian Ethnic & Western Clothing like salwar suits, designer salwar suits, Kurtis and Tunics, designer palazzo suits, wedding lehenga, wedding sarees, daily wear sarees, designer Kurti, wholesale salwar suits. This is truly incredible fashion with amazing photography and location. Now my favorite has become black after seeing your stunning pics. I must say you done a great job!